the science is too complicated to understand, unless you are a climatologist, so we need to put our trust in where the scientific consensus is at right now. and the consensus is that ever since 1750 there has been a constant yearly increase of man-made global warming. other questions about GW such as predicting the effects and future ruin of the earth is not known and one can have their own opinion about that part of the issue. 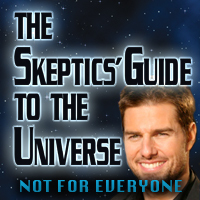 many articles here are authored by dr. steven novella, of the sgu. he is my favorite science educator and skeptic on the planet. he’s the closest thing to a “prophet” for me here on the earth. i recommend listening to his podcast weekly. 1. IPCC. (2007) Climate change 2007: the physical science basis (summary for policy makers), IPCC. While critics of the Church often challenge the authenticity of the Book of Abraham in the Pearl of Great Price, they attach more importance to it than Church members do themselves, a Latter-day Saint Egyptologist said Aug. 6 at the annual conference of the Foundation for Apologetic Information and Research (FAIR). Such critics lose sight of “the larger issue,” said John Gee, an associate research professor of Egyptology at the Neal A. Maxwell Institute for Religious Scholarship at BYU. Brother Gee said that in many cases the argument about the Book of Abraham has become so complex that even some of the sharpest critics lose perspective and fail to be consistent in their contentions. “We cannot afford to lose sight of the big picture,” he said. Second, not every argument or point is worth defending. “Even widely held opinions do not need to be defended if they are mistaken,” he said. Fourth, though God knows everything, “we do not and cannot,” he said. “So if what is most important needs to be defended, what are some of the things that need to be defended?” he asked. He suggested six: God exists; Jesus Christ is His Son; God talked and still talks with men through the power of the Holy Ghost; Jesus Christ atoned for the sins of the world; the Atonement is available to those who trust Jesus, turn from sin, make and keep sacred covenants, and follow the course throughout their lives; and the Book of Mormon is true, an authentic record of God’s interactions with actual ancient people. “Now, we may be called upon to defend smaller points than these, but if these six things are not true, there is no point in the rest,” Brother Gee said. “First, the arguments about the Book of Abraham have become so complex that even the best and brightest of critics end up arguing unwittingly in favor of the LDS position. “The Document of Breathings made by Isis is not the Book of Abraham, and most Latter-day Saints have never claimed it was,” he said. “Can we agree on that issue and move on? “Second, the critics do not deal with the issues arising from the Book of Abraham that Latter-day Saints care about. In that sense, their approach is legerdemain and bait-and-switch. “Third, how the Book of Abraham was translated is unimportant. The Church does not stand or fall on the Book of Abraham. This entry was posted in Skepticism, Technology/Science. Bookmark the permalink. ← where did we come from, why are we here, where are we going?